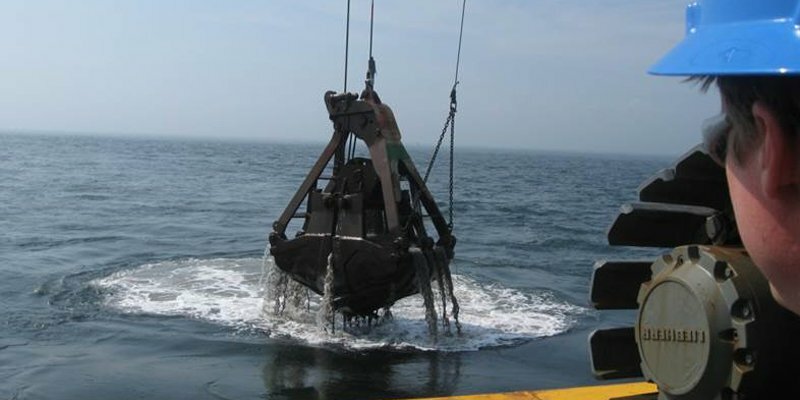 Dredging projects are located either in open waters or along shoreline areas, with a scope that ranges from simple, generally open water projects, to more complex, large open water or shoreline projects, with proposed upland deposition or disposal sites. As dredging has the potential to adversely affect the environment in some way, dredging projects must be designed to protect natural resources and habitats during the dredge process. Applicants are required to examine alternative sites and project designs that avoid and reduce impacts to wetlands from dredging, and should develop plans to create or improve wetlands, wetland functions, and aquatic resources to compensate for unavoidable impacts to the environment. An individual permit may be required. Nationwide Permits may apply to dredging projects of 25 cubic yards or less, provided that they do not impact certain kinds of aquatic resources and ecosystems. Submit a Joint Application to the Army Corps so that reviewers can determine: a) whether your project meets the Nationwide Permit thresholds, or b) whether an individual permit is required. Typical open water and shoreline dredge projects, with removals greater than 100 cubic yards, should follow the guidelines outlined below. However, occasional small dredge/excavation projects with removal volumes of less than 100 cubic yards have different submission. Contact the NYS DEC to discuss your proposed dredging project, and to clarify specific project requirements. Submit a Sediment Sampling and Analysis Plan. For plan design guidance, see Designing a Dredging Sediment Sampling and Analysis Plan and the “TOGS 5.1.9 In-Water and Riparian Management of Sediment and Dredged Material” document found on that Web page. Submitted sampling plans will be reviewed by NYS DEC for additional guidance and approval. Complete the sediment sampling per the DEC-approved plan and submit results to DEC as part of the Joint Application. A NYS DOS Coastal Zone consistency review is required for dredging projects over 25 cubic yards. Currently, DOS reviews are not required for minor dredging projects which qualify as Army Corps Nationwide Permits. Keep in mind, however, that Nationwide Permits can change every five years. Contact the NYS DOS to clarify your project scope and requirements, and to learn whether you need to apply for a review. A Waterfront Revitalization Program (WRP) consistency review may be required. Contact the NYC DCP to discuss your project scope and requirements, and to learn whether you need a WRP review. The following are specific application requirements for typical dredge projects. Location and general description of the area to be dredged. Type(s) and volume(s) of dredge material. Proposed depth of dredge and overdredge at Mean Low Water (MLW). The method of dredging/excavation (for example, hydraulic dredging, clam shell bucket, environmental bucket, etc.). If the proposed dredging operations will include dewatering, describe the dewatering methodology. The location of an upland deposition or disposal site, if dredged material is to be transported there. The potential effects on the tidal bay area, if dredging for inlet management of tidal bays. For land deposition on property not owned by the applicant, provide a signed letter of acceptance from the property owner. For disposal or placement of dredged material at a landfill, brownfield or previously approved restoration project site, provide a signed letter of acceptance from the receiving facility.